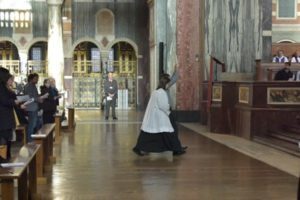 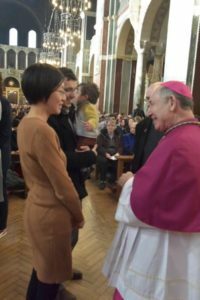 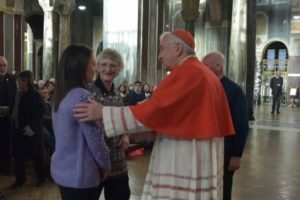 Over 400 people (including five from our Parish) from 93 parishes gathered at Westminster Cathedral on 9th and 10th March to celebrate the Rite of Election and call to continuing conversion, a key milestone in the Rite of Christian Initiation of Adults (RCIA). 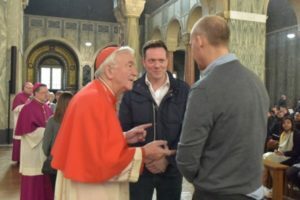 Our deanery attended the service on 10thMarch and we were delighted that David, who completed the RCIA process last year, was selected to bring forward the Book of the Elect to carry it to the Sanctuary to be blessed by the Cardinal, and at the end of the ceremony to then take it to the Baptistry. 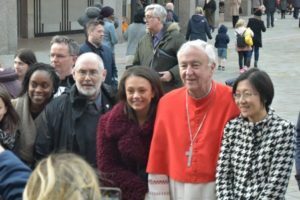 His Eminence Cardinal Vincent Nichols presided over the liturgy, along with Bishops John Sherrington, Nicholas Hudson, Paul McAleenan and John Wilson, and many Deans from the diocese. 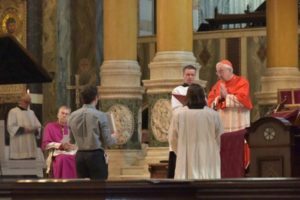 During the Rite of Election the Cardinal declared over 200 catechumens to be ready and to have been chosen by the community, as the Elect, to go forward to prepare for the Sacraments of Initiation of Baptism, Confirmation and First Holy Communion at Easter. 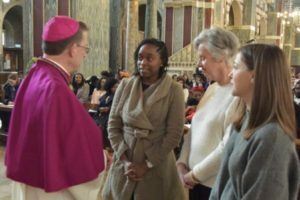 During the call to continuing conversion, 219 candidates who are already baptised Christians, were affirmed by their sponsors and the assembly. 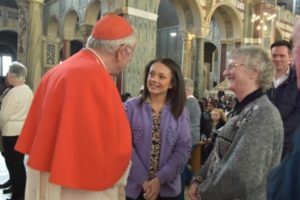 The Church recognises their desire to complete their initiation in order to be received into full communion with the Catholic Church.